Political acts of violence in tourist destinations, such as the attacks in Paris, Ankara and Sousse, have a disastrous and long-lasting effect on local people and businesses, to say nothing of the tourists themselves. In these days of instant communication, the effect is all the more dramatic and farreaching, as even reputedly safe destinations are under threat. Based on a PhD research on managing the impact of political crises on tourism, this book offers a simplified and practical application of the management framework developed in the thesis. The book includes enlightening extracts from in-depth interviews with a wide range of tourism professionals and reveals a fascinating picture of the true impact of political crises and terrorism on the tourism industry and the tourists. 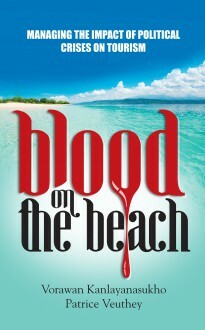 Blood on the Beachwill be of great value to all those involved in the tourism industry around the world.